The rounded, soft and sinuous shapes of the Fat-Sofa seating system are the base for the new outdoor version, characterized by a brand new interlacing design. Its fully padded seat is accompanied by a metal frame backrest that supports the original weave, creating a special play of fullness and emptiness. 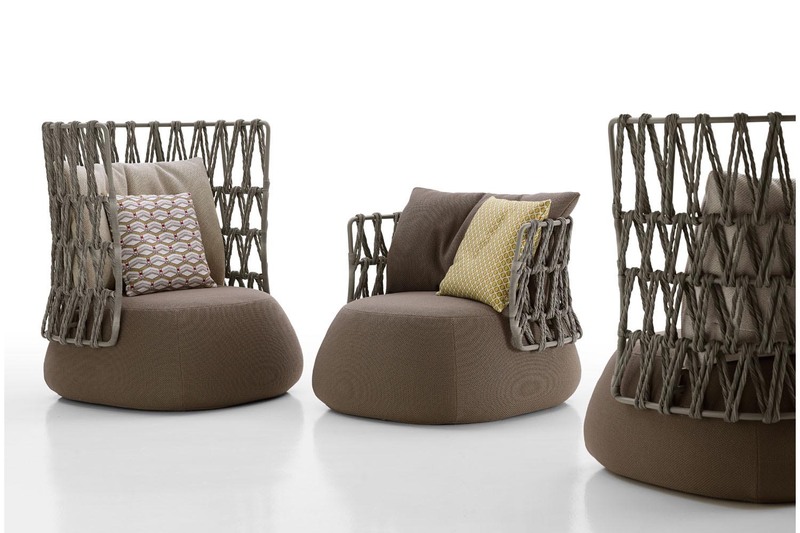 The large weave pattern, made of tortora coloured twisted polyethylene fibres, makes the design unique, respecting the designer’s idea of lightness, transparency and puts the furnishings in an open “dialogue” with the surrounding environment. Fat-Sofa Outdoor consists of six types, ranging from the linear sofa to a large relax island, from two height variants of the armchair to a range of different sizes of ottomans. 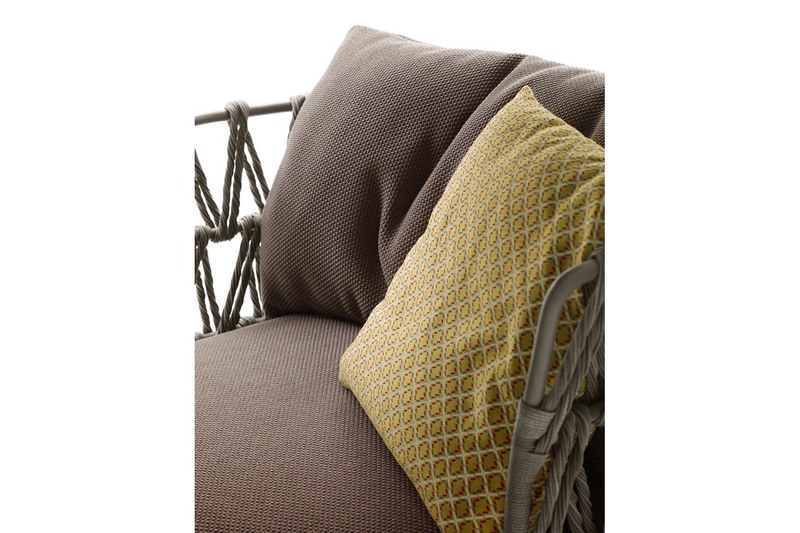 The new collection of fabrics, available also on the large back cushions, creates evocative colour and visual combinations.